Do you have to use a lot of dental fixative to keep your dentures in place? Do you find it tricky to eat? If you are missing all your teeth and wear full dentures, implant dentures can be used to click your denture securely into place and stop any mobility of the denture using as little as 2 implants, making eating a lot easier. 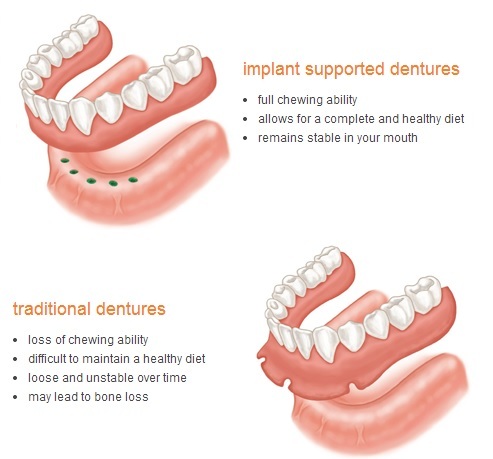 The use of implants to stabilize dentures has been shown to greatly improve chewing function. Your denture will “snap” into place and feel fixed in your mouth. 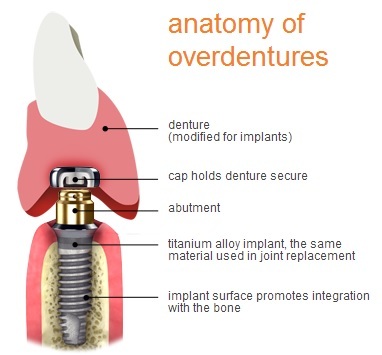 Our implant denture treatment options start from €2,795. Any implant treatment carried out is also eligible for 20% income tax relief. At South Dublin Dental we provide dental implant treatment using Implants systems from the U.S.A with over twenty years of proven track record and clinical success. Don’t want to wear a denture anymore? Teeth Xpress may be the perfect solution. You can get rid of your dentures for good by permanently fixing a dental bridge of 10-12 teeth instead on 4-6 implants. Patients interested in having implant dentures treatment can book a complimentary assessment appointment with Dr. Alec.